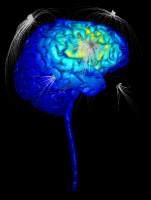 High-Definition transcranial Electrical Stimulation is a transformative technology for targeting cortical and deep brain structures with weak currents. Unlike any other neuromodulation technique, High-Definition transcranial Electrical Stimulation (HD-tES) is non-invasive, targeted, and can leverage the therapeutic potential, convenience, safety, and cost-advantages of tES. 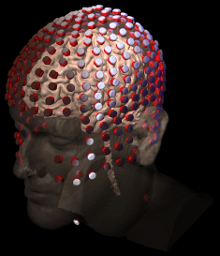 The tES techniques commonly include tDCS, tACS, tRNS and tPCS. HD stimulation is scalable and can be integrated with any research grade EEG system. 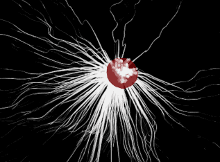 Integrated Soterix Medical Neurotargeting software and neuronavigation allows precise stimulator programming for brain targeting. Soterix Medical is the exclusive manufacturer and provider of High-Definition (HD) technology. The MxN is the flagship product of the leader in non-invasive neuromodulation and is backed by Soterix Medical performance guarantee and our unmatched technical support. Soterix Medical introduces the most advanced non-invasive neuromodulation platform ever developed: the M×N line of stimulators. The MxN stimulators comprise of multiple, independent, and isolated channels with one common (or reference) channel. The platform is fully scalable based on 9-channel (M×N-9) and 5-channel (M×N-5) modules. This means you can start with a powerful but economical system and add channels as needed, or break your existing system into independent functioning stimulators. All M×N systems are HD-Targets and HD-Explore enabled allowing investigators to leverage automatic and manual dose optimization. 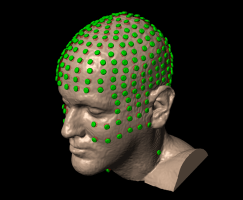 Combine M×N with Soterix Medical Custom modeling for individually optimized treatment. Leveraging exclusive Soterix Medical HD-electrodes, the M×N system can be configured for effective DC stimulation without sensation in most subjects. Study design benefits from the first full sensation matched sham protocols and adapt stimulation for susceptible populations and individualize treatment for efficacy and safety. Maximize current to any deep brain regions. 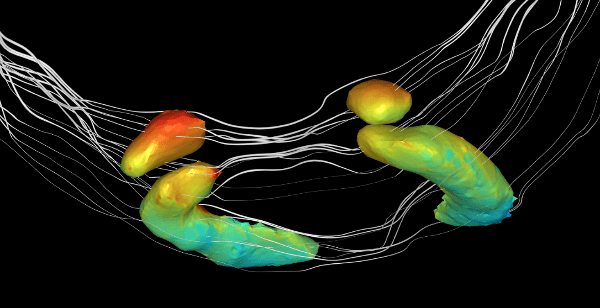 HDexplore and HDtargets allow you to design and evaluate stimulation strategies. Precision and flexibility derives from the number of stimulation channels and the ability to position those channels anywhere on the scalp (not just limited to EEG 10-10). Soterix Medical recommends EASYcarts for portable and safe storage of single module systems with full accessories. Soterix Medical recommends HD-Carts for stacked systems. Soterix Medical MxN-9 HD-tES Module. Fully stand-alone with on-board OpenPanel controls and displays, and kickstand arm. Electrodes for high-definition transcutaneous DC stimulation for applications in drug delivery and electrotherapy, including tDCS. Minhas P, Bansal V, Patel J, Ho JS, Diaz J, Datta A, Bikson M.
Optimized multi-electrode stimulation increases focality and intensity at target.Dmochowski JP, Datta A, Bikson M, Su Y, Parra LC. 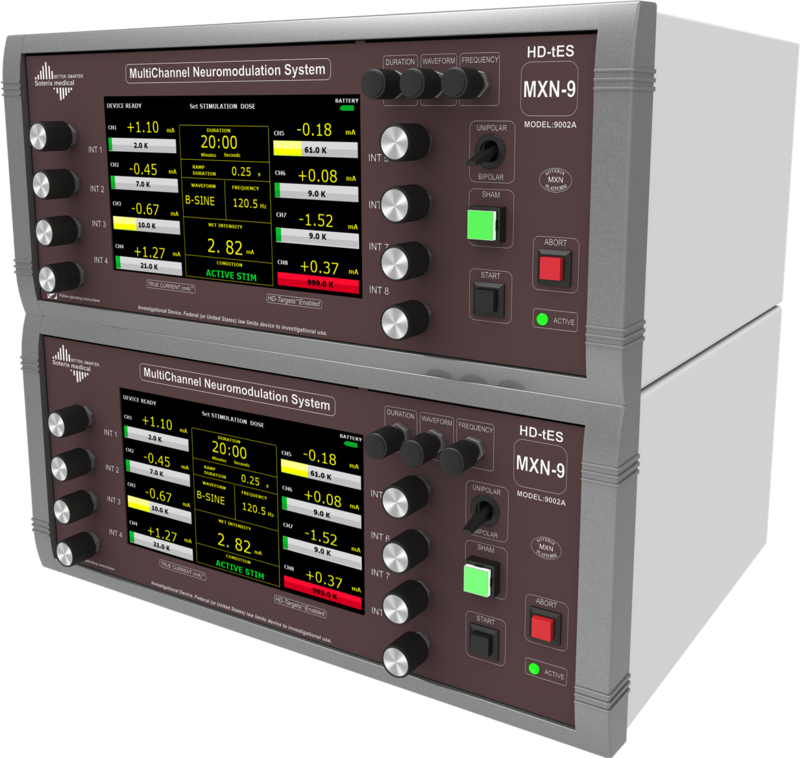 Stand-alone M×N-5 and M×N-9 modules are powerful base systems for HD-tES allowing independent control of 5 and 9 channels respectively. Add additional channel modules as needed to these popular base systems. Basic stack of two MxN-9’s allowing for control on 17 independent channels. One channel is shared to ensure safety and performance*. The stack can also be separated and the systems used independently. MxN-9 tower (rack and PC/software sold separately). Both MxN-5 and MxN-9 units can be rack mounted. Soterix Medical MxN stacks are the only non-invasive electrical stimulation systems capable of true multi-channel stimulation with unprecedented capabilities to focus current to brain targets. With unmatched HD stimulation channel density and true independent current control at each channel, Soterix Medical's exclusive Neurotargeting Software becomes an essential programming tool. The combination of MxN stacked stimulation systems and Neurotargeting Software provides researchers and clinicians the ability to design interventions that are hypothesis driven based on precise anatomical targeting. But for teams that prefer to start with more basic stimulation platform such as the 4x1 Adaptor or stand-along MxN-5 or MxN-9 modules, there is reassurance that all your equipment and HD accessories can be continuously upgraded. Learn more open OpenPanel design. From pre-stimulation set-up, to during stimulation monitoring, to post-stimulation confirmation, the Soterix Medical CHANNEL QUALITY feature provides an intuitive and clear indication of electrode contact quality. Use the CHANNEL QUALITY during set-up to adjust electrodes and head-gear for optimal fit. During stimulation, CHANNEL QUALITY provides a constant indication of electrode quality and can be monitored during adjustments (e.g. addition of gel to improve HD electrode contact). After stimulation, CHANNEL QUALITY confirms a successful trial. What other devices promise, the Soterix Medical MxN devices deliver. The individual displays can be monitored throughout (during stimulation ramp-up to confirm target current intensity is achieved, desired current delivery during stimulation, and stimulation ramp-down to confirm end of stimulation). An automatic stimulation sham feature that is engaged with a simple switch. Auto-sham automatically calculates and produces a sham waveform based on the indicated “real” waveform. For example, for a corresponding real waveform of 1.5 mA and 10 minutes, auto-sham will provide a ramp up/down to 1.5 mA at the start of stimulation, and again after 10 minutes, with the timer automatically adjusted such that the total run time is exactly matched to the real case. Based on the Soterix Medical OpenPanel™ design principle: with no complicated programming or hidden drop-down menus required. An exclusive technology from the trusted leader in neuromodulation, Soterix Medical HD-monitor is an intelligent oversight system that provides continuous monitoring of current flow conditions and will warn operator should unusual performance be detected. Multi-channel HD stimulation is the most advanced non-invasive neuromodulation system, providing tremendous flexibility to operators. HD-monitor provides a further level of automatic over-sight before, during, and after stimulation. The only platform designed to allow channel upgrades. No other multi-channel stimulation system is engineered to allow for scalability. The exclusive SCALABLE features integrated into every MxN device allows operators to feel comfortable knowing they can begin multi-channel with the most economical option without losing future scalability. HD devices designed to integrate with Soterix Medical Neurotargeting Software. 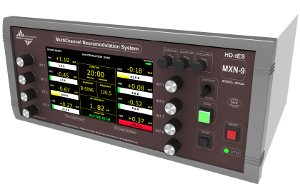 Multi-channel stimulation devices are only as customizable as the software used to design montages. With independent current control at each electrode with MxN devices, device power and flexibility requires intelligent montage design software. Neurotargeting software is the exclusive Soterix Medical solution to montage design and our MxN stimulators integrate seamlessly. 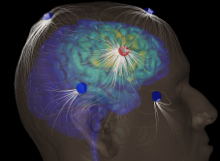 Clinicians and scientists trust Soterix Medical engineers to provide the modeling and software sophistication to fully leverage HD-tDCS and HD-tES.